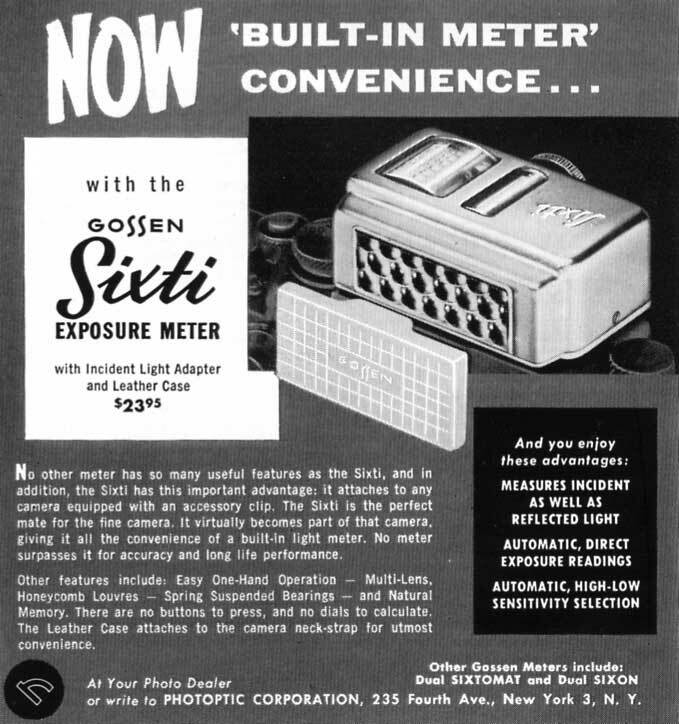 Eastman Kodak made everything under the sun, but not light meters; I never understood why. In the late 1950s they relented a little and branded a couple under the Kodalux name. 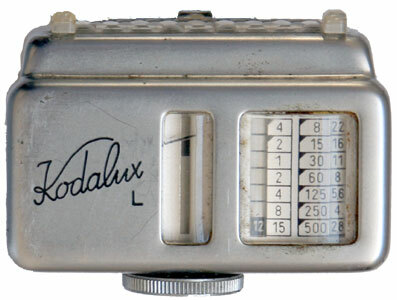 This Kodalux L model was made by Gossen (and sold at the same time as the Gossen Sixti). It's meant for Kodak Retina cameras but it would fit on anything with an accessory shoe, such as my Kodak Stereo. There was another Kodalux L model (also for Retinas) which later became the Gossen Pilot. Simple enough to operate: there's a knob on the back end that turns a little cylinder in the meter face. The cylinder is painted with little stripes, and a different stripe shows depending on what position the knob is in. This is geared to another drum that has ƒ/stops. So You aim the meter and turn the knob until the little stripe is underneath the needle, and then read the combinations on the right-hand side. For a little more information, take a look at this site for Retina Camera Accessories.